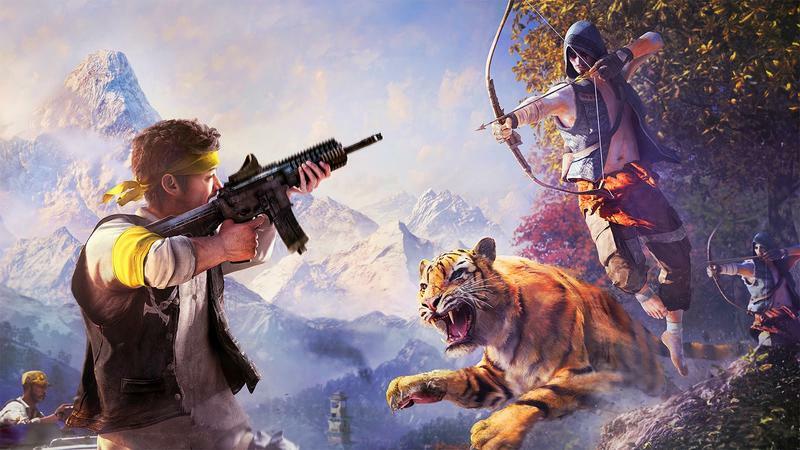 Far Cry 4 TV Commercial - Explain Yourself! EA and Ubisoft are on a collision course for what is easily the most exciting week of gaming this holiday season. On Nov. 18, BioWare returns to the video game scene with Dragon Age: Inquisition and Ubisoft follows up on the booming success of its popular Far Cry franchise with the highly anticipated Far Cry 4. Only one can come out on top, so which is it going to be? If Ubisoft is going to write trailers like these though, I think that marketing alone should heavily falls on EA's side. In this CG TV spot, a narrator attempts to explain the region of Kyrat and emphasizes how he only needs one second to explain it. Of course, in explaining that he needs only one second, he ends up taking an entire 45 second commercial! I guess the moral is that you'll be in danger every second you are in Kyrat, but why couldn't they just say that? Seriously, if you need to brag about needing only one second to describe your game, then just take that second please. This sounds like someone tried a little too hard to write something "cool" and reminds me of that laughably silly Chevy Truck-esque "Hollow Lullaby" trailer for Dark Souls II. Questionable choice of wording aside, Far Cry 4 looks great. The gunplay, vehicles, scenery and especially the wildlife are the true stars of this game, and there never seems to be a shortage of havoc to cause. It launches for the PlayStation 3, PlayStation 4, Xbox 360, Xbox One, and PC on Nov. 18.